When greens are very very slow. Problem putting on other greens. Pulling my putts to the left. How do I keep from three putting? Tendency to pull most of my putts. I live in Minnesota and the snow has just melted. This means the greens are very very slow. I went out and played my first round of tryouts and I left almost every putt short by about five feet! Can you give me some advice on how to get the ball to the hole when it feels like your stroking a fifteen foot putt but it is only five feet. Putting is a game of confidence and acceptance. Accept the conditions you are playing in and you can be confident you can adjust to anything. I am a fairly good golfer and i enjoy the game. I do have a little problem when I go to all the other courses. This problem is my putting. 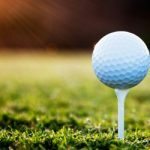 Since there is only one course around where I play i am not able to get a chance on the different types of grass that you are able to putt on. 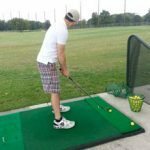 Do you have any suggestions that migh help me shoot lower scores at these courses? Pulling putts to the left is usually a sign of a breakdown of the left hand at impact. The left wrist cups and the right hand closes the face. There are a couple of things to try. A. Cut 3 strings 6 feet long each. Place one at 20 feet from you, one at 40 feet and one at 60 feet. Putt a ball at each string trying to have the ball stop on the string. Repeat one ball at a time to each string till you have done this 6 times to each string. Then work on each string (i.e. 6-10 putts at the 20 foot string and then to the 40 foot, etc.). A. Cut a six foot string. Put 8 balls 3 inches from the string. Stroke the putt and STOP THE BALL ON THE STRING. When you can do that you will feel a very soft feel in your hands a very pendulum swing to hit the putt. B. Set up a spot two feet from the hole. Be sure the putt is on a flat area of the green. Here you will check your alignment. Be sure your putter blade is facing (square to) the hole. Be sure your feet, shoulders, hands and eyes are parallel to the line of your putter face. Stroke 6 – 8 putts into the hole. Use this area to also feel that you are striking the putt in the center of the putter face every time. Using these drills, the result should be this. Since you will be confident that you can hit a 2 foot putt and confident that you can feel the proper distance, you will have confidence and a chance to make any putt you have. As you learn how to control distance, you will learn very easily to read the breaks according to the speed of the putt. How do I keep from three putting on the greens. Three putting, as do any putting errors, comes from two areas, distance and direction. Direction is the easiest to fix. Learn how to align the clubface with your target by practicing two foot putts, straight up a slope. Distance is more difficult and where most people have putting problems. More three putts come from the first putt being too short or too far. 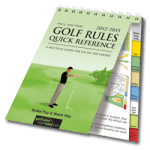 Find a large area of a putting green and set up three lines with string or a chalk line that run perpendicular to your direction line at 20, 40 and 60 feet from a starting point. Your goal is to putt a ball at each of those lines and stop the ball on the line. Repeat this process 5-10 times. You will soon see which length is giving you the most trouble. 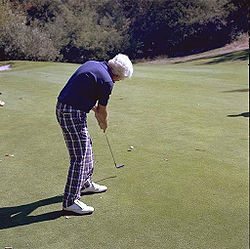 When you find that length, start at that length and hit 20-50 putts at that string until you are stopping the putt on or very near the line. Then switch and repeat the process to the other two lines. While putting these longer putts, you should be concentrating on making a stroke that goes equal distance on each side of the ball (e.g. if the putter goes 4 inches back, it should travel for inches past where the ball was after impact). 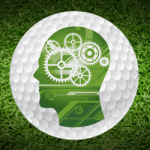 Once you have attained that feel for distance, your eye and subconscious will be able to work together on any green and quickly obtain the feel for the speed for those greens on that day. If you get your distance right and your aim is only a few degrees off, you will never have more than a 1-2 foot putt left for a two putt. 4) is the ball too far forward in your stance? After checking all that, if you are still pulling, check to see if your hands are still straight after impact or if the front wrist has bent or collapsed. If this is happening, work on hitting the putt with the back of your front hand staying straight after impact. A collapsed or bent front wrist usually means the clubface is closing, looking like a pull. If you are still hitting it with a pull. Check the path the club head is swinging on. If you are trying to have the club go straight back and straight through then you are making the club move too straight and will result in a pull. Set a tee in the green 6 inches behind your ball on the target line and six inches in front of your ball slightly left of target line. On the way back, the toe of the putter should graze the tee behind you and the face should hit the tee in front of you. To see this move more clearly, grip down a few inches and hold the putter above the ground and let the putter swing with your shoulders and your arms and watch the path the club head will make. Duplicate that feel and motion while you hit some practice putts. There are some check points and drills. Good Luck with them.